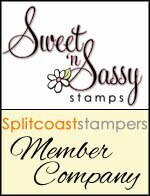 It's time for this week's Featured Spotlight Cards from last Saturday's challenge (SSS161). Thank you all for participating. 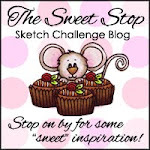 We loved seeing your take on the sketch! First is Faye's darling card. What a sweet monster image. Love how she fussy-cut everything out. 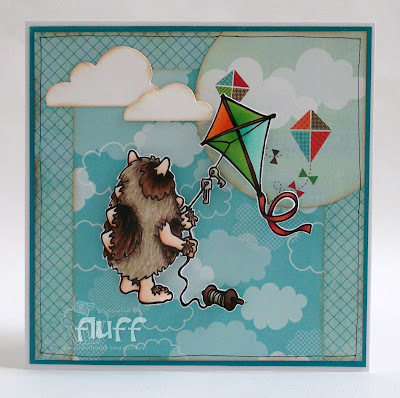 The die-cut clouds and designer paper look perfect. Next is Shannon's pretty card. 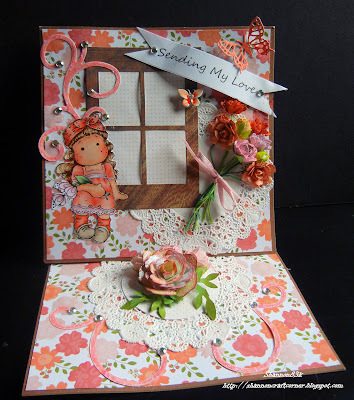 I love her creative take on the sketch with the window and the sweet Magnolia image. The flower and butterfly embellishments are beautiful. Finally, it's Anja's precious card. That image is so sweet, and I love the soft coloring. The doily is very pretty, and the flower embellishments are lovely. Make sure you check back tomorrow to see the brand new sketch, and the fabulous samples from the Sugar Babies.